If you've got a bit of spare time, a decent education, a lot of support, some luck and an empty garage, you too may have what it takes to start the next multi million dollar company! It's the urban fairytale of the times -- the zillionaires that started from nothing, (or at least much lower than where they ended up), in their parents garage, burning the midnight oil, coming up with the next must have invention to change the world and fill the pockets. Someone call Joseph Campbell. Here are some infamous heroes of the rags to riches, garage start-up saga. When young Michael Kittredge was unable to afford to buy his mother a Christmas present, he did what most kids do and made her one. But instead of gluing macaroni to a paper plate, little Mikey melted down his crayons and made his mom a fabulous scented candle. While no Anthropologie Fireside, the gift was a neighborhood hit and soon demand grew. With help from some high school friends Michael eventually grew his business into the well known Yankee Candle Company. Where else would a company like Harley Davidson get it's start! In 1901, William Harley and Arthur Davidson began by designing motors that could be fitted to bicycles. After a few failures, the boys eventually began designing the famous Harley Davidson racing bike. The world's largest toy manufacturer was once just a couple of friends, Harold �Matt� Matson and Elliot Handler making picture frames in their garage. When sales lagged, Ruth Handler, Elliots wife, began making doll furniture out of the scraps. The doll furniture actually proved to be a lucrative business idea and quickly turned into the multinational company that creates names like Barbie, Fisher Price and Hot Wheels. The birthplace of Silicon Valley is well known to be the Packard garage in Palo Alto. Spurred by their initial production of audio oscillators, which they sold to Walt Disney, here the two friends, Bill Hewlett and Dave Packard founded the tech company HP, which would eventually become one of the largest computer and laptop producers in the world. An itty bitty one car garage in Hollywood would be the birthplace of the entertainment empire known today as Disney. The brothers Walt and Roy got their start animating the �Alice Comedies� in their uncle's garage where they struggled relentlessly to make a name for themselves. Needless to say Disney is now much more than just a household name, creating classic films, series and the legendary theme park. Steve Jobs, Ronald Wayne, and the great and powerful Steve Wozniak can trace their unparalleled success back to its humble beginnings in the Jobs family garage. In Cupertino California, the three, who quickly became two (Jobs and Woz), began constructing the first home computer to incorporate a keyboard and a screen, the archetype of every modern computer on the market today. The company has exploded into a multifaceted tech manufacturer with revenues in the billions. The software giant whose products can be found on a majority of computers around the world also claims humble beginnings, Bill Gates and Paul Allen created Microsoft in a small Albuquerque garage. The two began by refining early computer programming languages leading to the development of the now world renowned Windows Operating System, software which revolutionized the computing industry. A rented garage in Menlo Park, California would be the incubator to the global phenomenon that is Google. With the initial premise to organize and make accessible information for the common person, friends Larry Page and Sergey Brin worked day and night to come up with the platform that is now synonymous with internet search engines. Remember when Amazon only sold books? Yeah, it was still pretty cool even then. Created by Jeff Bezos in 1994, the now online mega store also has it's roots in the home garage. The successful online bookstore�s business plan exploded and now basically sells everything (kitchen sinks included) and rakes in billions of dollars of sales every year. So, we may be bias, but to us it's obvious--the one thing these amazing companies have in common is a really great garage! 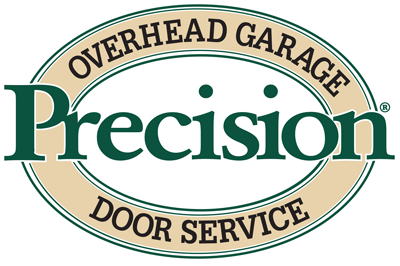 From Precision Garage Door Service, give us a call today for any of your garage door needs. Maybe we can help get you started down the path to garage entrepreneurial success! I received an estimate to replace our garage doors from Precision along with several different companies. While your quote was a bit more expensive than the others, the quality of service we received from your man James was the BEST. The treatment we received made all of the difference and we're very impressed with Precisions' customer service and our new door! Thank You.